You will find below a delicious dish, free weight. 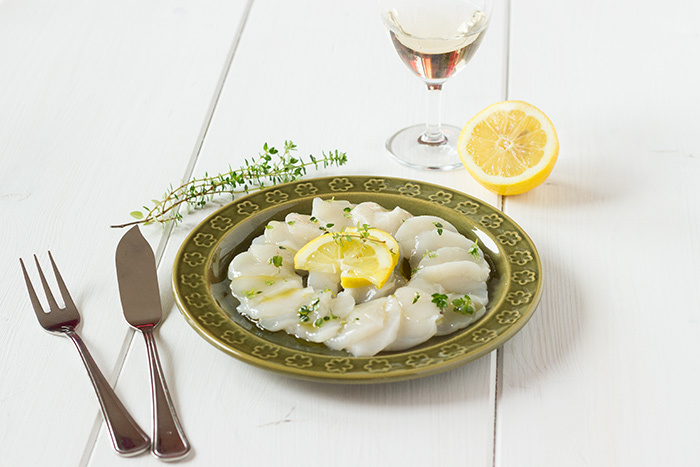 A stunning scallop carpaccio with lemon thyme and extra-virgen olive oil. Adrien spent two weeks away for work going out every night for diner. Not really easy to control his weight balance. So in order to celebrate his return, but in a healty way, I though that it would be the perfect starter. I have to admit that scallops weren’t only for him. I love them and unfortunately I cannot eat them everyday. Not so affordable. A wonderful starter, quick and easy to make. The fishmonger advised me to freeze the scallops at least one hour before the cut. Depending on their size, I would leave them a bit more. I could have let them 30 minutes more I think. They would have been easier to cut. Then you slice finely, place on your plate and cover with lemon thyme and olive oil. I think you got it, you can adapt this recipe with almost anything you want. Why not rosemarin or basil. Do not forget to let me know what do you think about this recipe and if you enjoyed it ! 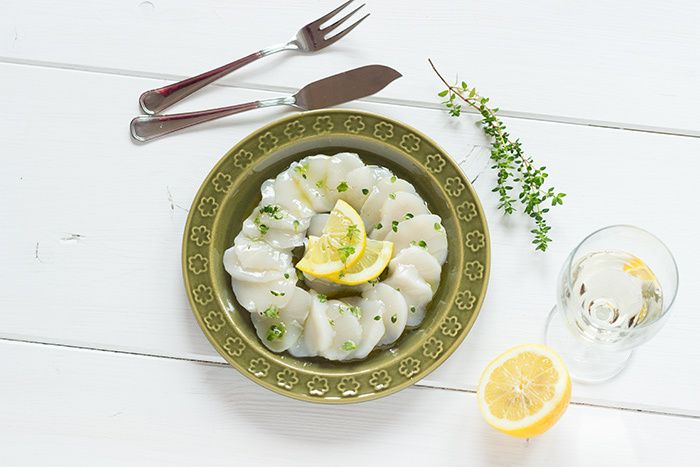 To be able to slice scallops easily, put in the freezer for at least 1 hour. 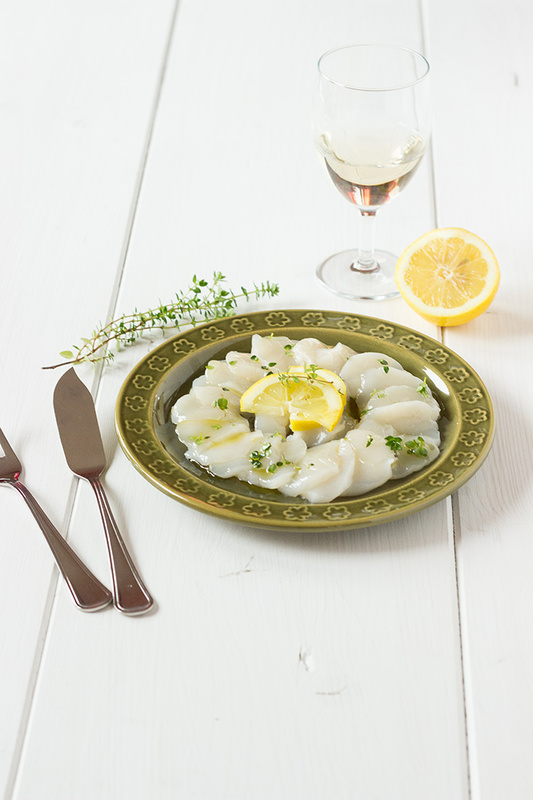 Slice finely scallops and place on a little plate. Mix lemon Thyme with olive oil. Cover with plastic foil and refrigerate. Serve cold with 2 slices of lemon. Thank you very much for reading. 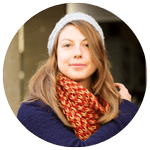 Do not hesitate to register to the newsletter or follow me on social media to receive the latest recipes.